Being dad is tough, as many of today's hands-on fathers have found out. Things get even more challenging when one is a stepdad, a single dad or a new dad in his 40s or 50s. These fathers tell SundayLife! that they have to handle tricky matters such as being accepted by their stepchildren, playing the role of both mother and father, and dealing with a wide age gap. Family experts say stepfathers need to exercise patience when attempting to overcome acceptance issues by their stepchildren. Mrs Sarojini Padmanathan, Families for Life council member, says stepfathers should not expect acceptance to occur immediately. "They have to be sensitive and give time for stepchildren and themselves to come to terms with their new relationships," she says, adding that stepfathers should be open- minded, tolerant and give unconditional love to their stepchildren. "They should always be themselves." Sales manager Quentin Foon, 36, did just that with his stepchildren Faith and Lexx, who were aged eight and six when he was introduced to them. He played computer games with them, cared about their studies and got to know them as individuals. He says: "When they did not want to do as I said, I accepted it and told them calmly that it meant I could also reject their requests. Reasoning with them like this usually worked in getting them to listen to me." Mr Arthur Ling, deputy director of Fei Yue Community Services and a member of the Family Life Education Expert panel, says stepfathers could also face the challenge of disciplining their stepchildren. "There may be a lack of authority as the stepfather is not the biological father," he says. Founder-director of theatre company Act 3 Theatrics Rama Chandran, 58, experienced that to a certain extent with his 17-year-old stepson Joshua, from his actress wife Amy Cheng's first marriage. 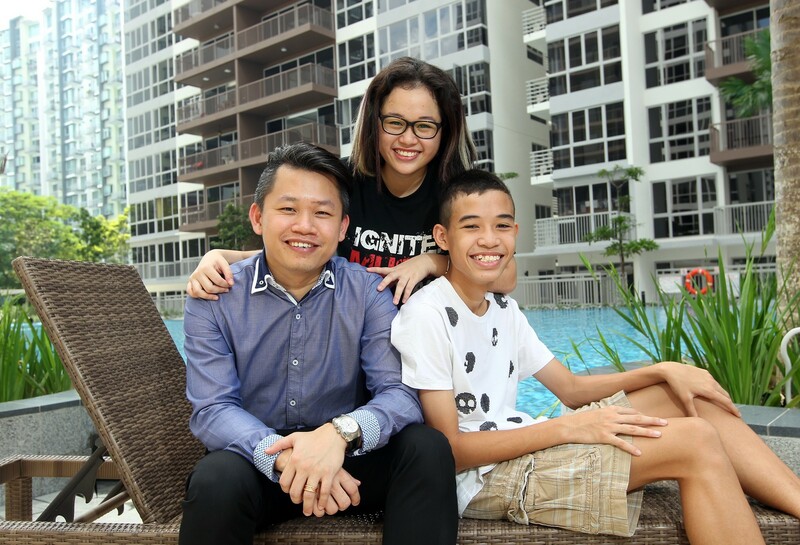 While he has a good relationship with Joshua and the teenager's biological father, he realised that Joshua was "growing up with multiple influences and voices in his life", which were sometimes proving confusing for the child. Chandran says: "There were different expectations and different ways of upbringing being exercised. I had to be mindful of his feelings." For single fathers, Mrs Sarojini says the biggest burden is that once-shared responsibilities are now entirely thrust upon the father figure. "Adapting to the roles of mother and father is not easy," she says. 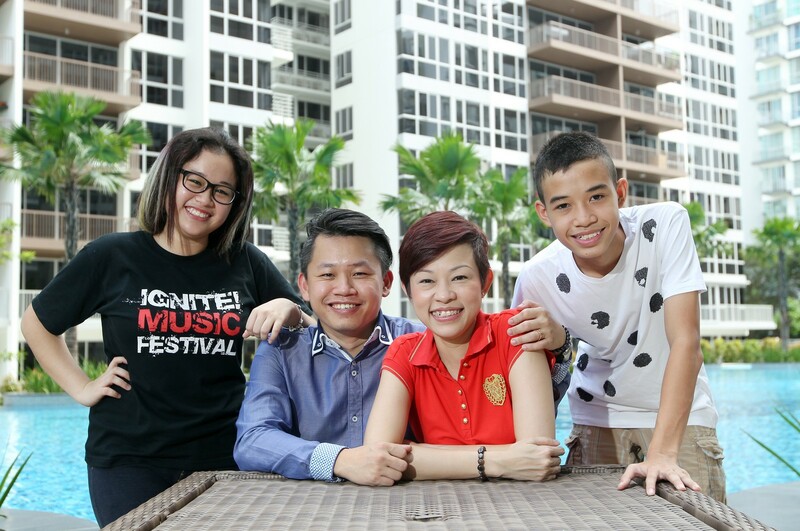 Single dad and church ministry staff Kelvin Mok, 34, agrees that playing dual roles has been challenging. His daughter Janice, now six, was only four when his wife died of lung cancer about 11/2 years ago. Founder-director of children's theatre company Act 3 Theatrics Rama Chandran became a first-time dad in 2008, at the age of 52. Now 58, he will be 70 when his son Jivan, six, does national service. He is also stepfather to Cheng's son Joshua, 17, from her previous marriage. Cheng says she is thankful that Joshua took to the Indian "uncle" she introduced to him when the boy was six. "Whatever the future holds, we always tell our boys that they will have each other when we are not around." Church worker Kelvin Mok recalls asking many "why" questions after his wife died of lung cancer about 11/2 years ago. Mr Mok read up on how children handle grief and would explain to Janice "gently and in simple words" that Ms Tan was no longer alive. He has always been a hands-on father ("I used to bathe Janice and change her diapers"), so it has not been that steep a learning curve for him. He enjoys reading to Janice and taking her out for movies, and helps to dress her. "She's very into pink at the moment, so as long as there is pink in her outfit, I think it works," he says, grinning. "I intend for Janice to always remember who her mother is," he says. Sales manager Quentin Foon, 36, first laid eyes on retail consultant Agnes Lim, 38, in a club 11 years ago. Unknown to him at that time, Ms Lim, then 27, was a divorcee with two children - Faith and Lexx, then aged eight and six. "After my divorce, I lost faith in love and relationships. I initially never considered remarrying." Mr Foon says: "When I chose this route in marriage, I did not know if it was wrong or right. But I told myself, 'Just make it right.'"